There are so many people in this world who dream of having a big beautiful house with a private swimming pool. And that is completely fine but before you continue dreaming about it, striving, desiring and working hard to get it, you should think about few practical points. I have observed and spoken with many people who have their own swimming pool at home and myself I also live in a house with a swimming pool thus I know it also from the experience. Altogether it is interesting to see that these people don't use this swimming pool that often and sometimes they don't even use it at all. It is more like a toy for a little child. Once they buy a house with the swimming pool they play with it for few days but later they throw this toy in the corner and forget about it. There is also another point here. The swimming pool needs maintenance: it is necessary to use a filter which uses electricity, the pool needs to be also cleaned manually and on top of this people must use a lot of chemicals to keep the water clean. The water in the pools stays there sometimes for years and it is only being filtered and kept under control with the chemicals thus I would say that the liquid in the swimming pool only looks like water but it is "dead". 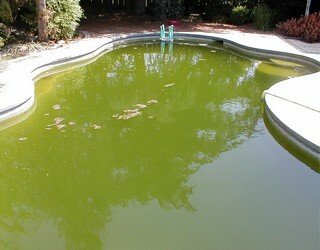 I have seen on couple of occasions when the water in the pool was green, dirty and murky and after putting some strong chemicals into it, it becomes completely transparent and "clean". Thus to me this is not a water. It is only a liquid that looks like water. Of course not everybody is fortunate to live next to the beach or clean river and thus using a swimming pool is also an option to consider because swimming is fun - isn't it ? What I want to point out here is that many people desire to have a house with private swimming pool and work hard to get it but once they get it they don't use. And if you don't use it then swimming pool turns into being a huge waste of resources - water, electricity and time to maintain it. I live on a tropical island and I see that many houses have private swimming pools but in the end it is all unnecessary because people don't use them. It would be much more beneficial to have one big public swimming pool for all and this way we would help nature which has been put under enormous stress by people. Thus think twice or more before you decide to dream of and later work hard to get a house with a swimming pool. Most of the times it is just a toy which later turns to be unnecessary waste of resources. "Learn to share and then there will be more then enough for everybody and we will have clean environment"